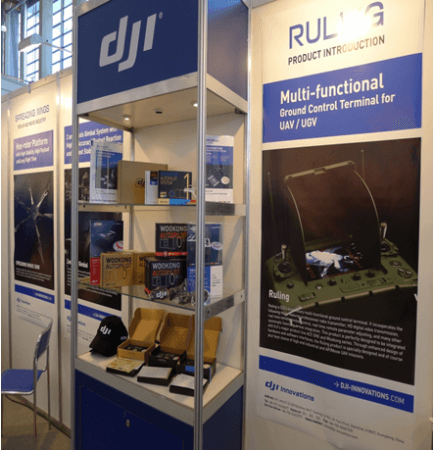 From 1st to 6th February,2012, DJI attanded the International Toy Fair in Nuremburg, Germany. The International Toy Fair is the most famous worldwide fair for releasing new products. It attracted more than 80 thousand professional audiences from approximately 100 countries. There are 2785 exhibitors from over 60 countries displaying about 60 thousand new toys. DJI as leading developers and manufacturers in UAV helicopter and multi-rotor autopilot systems, displayed its best sale products such as ACE ONE, Wookong H, Wookong M, NAZA, F330、F450、F550 ARF kit and its new released products such as ZENMUSE, SPREADING and WINGS RULING at D-120 in exhibition room 7A, which attracted many producers, professional audiences, journalists and consumers. It is the most popular exhibitor in the toy fair. DJI’s F550 WKM RTF KIT and F450 NAZA RTF KIT are the only flight products shown on TV and journals during the Show case. 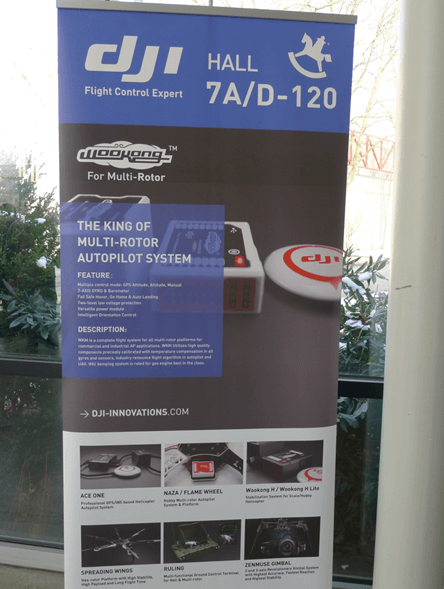 DJI achieved great success in this exhibition, not only improve its brand popularity, but also increased its sales by gaining lots of orders and doing business with several main distributers and many Sales agent.